I have many a perfect day within different landscapes but a typical favourite day in Barcelona would see the sunrise and view over the city from my balcony. 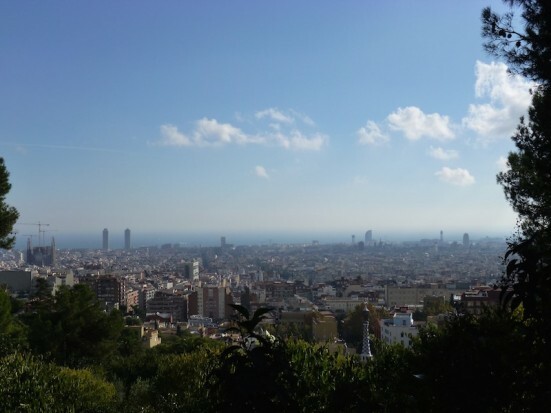 I live right next to Park Güell so have a great view down towards the Sagrada Família, across Barcelona rooftops and hopefully to the calm sea in the background! I am always into seeing the city from a different viewpoint too and a good one is up in Vallvidrera (catching the Peu del Funicular up and a walk along to see the best view of the city). Swimming is a favourite of mine, so usually I run or walk through Park Güell with a full view of the city in the background and head to the gym next to the park and in the summer swim in the outdoor pool. I have a few favourite coffee places in town and one of them is the Italian right opposite the swimming pool called Restaurante e Bar Terra Mia (c/ Ramiro de Maeztu, 31), the best Italian coffee. 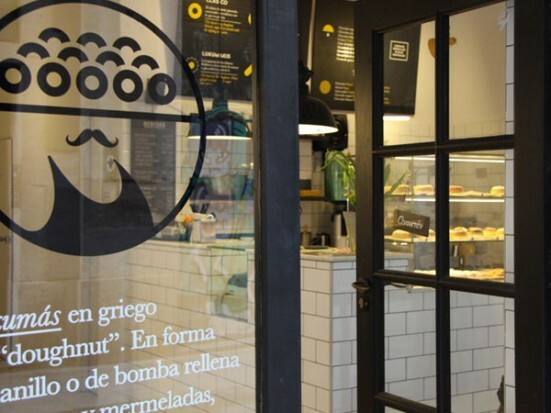 Or I would either walk or cycle downhill towards the centre and head to Lukumas, (c/ Torrent de l’Olla, 169) in Gràcia, which serves one of the best made coffees and listen to OFF radio, a Greek radio station that plays the best music with presenters that drool over the music! 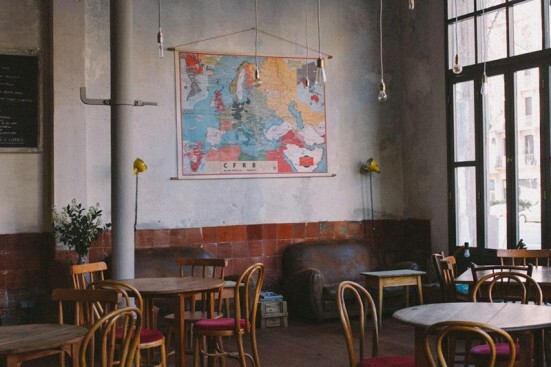 Another favourite is Nømad Coffee Lab & Shop (Passatge Sert, 12) in Poblenou. I love nature, so anything that presents itself in that form, makes me very happy. Music and gastronomy also come into this so a live gig or a good long lunch you cannot beat. Why did I move to Barcelona? For the very reason to enjoy the delicacies and simple way of outdoor life that Spanish lifestyle has to offer. I always ask that question to other people, Spain or Italy? Well I actually came to Spain because my grandmother (who was an artist) had lived in Spain for 10 years so we used to visit her in Altea in the south and also spend holidays with my family growing up in Menorca, one of my favourite Islands. I do love the hustle and bustle of the Spanish culture and family life, it is a fine combination. I like to wander through the streets of Gràcia and head to the local markets and see what’s on offer whilst chatting to the local stall holders and perhaps eat some fresh tuna at the counter with a glass of cava in Mercat de la Llibertat (Plaça de la Llibertat, 27) or visit Mercat de L’Abaceria (Travessera de Gràcia, 186), it also has a great fresh fish section. Then head to Bodega Marín (c/ Milà i Fontanals, 72), where you can pick up some delicious wine from the Priorat and Ribera straight from the barrels. The locals go there and fill up their 2 litres and put them in their shopping cart, hidden! I would head to the beach for an afternoon swim, I tend to go where there are fewer people so further out on Mar Bella’s naked beach, is a good spot or catching the train to Ocata. I would cycle back up through Passeig de Sant Joan and perhaps stop at the Granja Petitbo (Passeig de Sant Joan, 82), a converted dairy farm that does the most delicious batidos, breakfast and tea, and I love their carrot cake. Another great place I would visit for a glass of wine or local tapas is Can Petit (Passeig de Sant Joan, 151). I also spend my weekends up the coast in Costa Brava so heading to the calas with clear water, is far nicer. I love to people watch and like to connect also with the locals, so spending a Saturday where I can do this, is a favourite of mine. 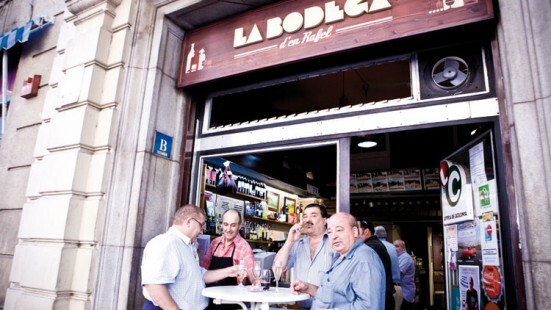 An evening would be spent visiting a small bodega, usually local. I have many favourites but particularly like Bodega d’en Rafael (c/ Manso, 52) in Sant Antoni as Rafael the proprietor is charming and it’s full of locals and less tourists. Usually there is a man playing his guitar standing and singing to the crowd which revs up the locals and atmosphere. Music always has to come into my day, whether it’s friendly DJ-ing at a party, choosing a playlist for the radio, seeing a live gig or just playing music at home. I would wind my way up back up to Park Güell after a breezy day outside and at night (without the tourists!) await the silence except for the dogs barking and owls hooting, nature is calling and a peaceful night awaits. Katrina Logie is a radio presenter on English Radio Barcelona. Tune in Monday to Friday 9-10am on 106.9FM or you can listen to the shows past and present on Podomatic. You can follow English Radio on Facebook and Twitter too. Katrina also organises wine and sports tourism activities and taps into the local market promoting small events for bodegas and other fun activities via My People Active.